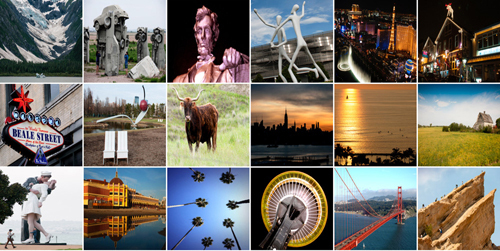 Whether you are a first-time tourist or a seasoned traveler, I am sure you have your bucket list filled with all those famous spots from Eiffel Tower in France to Taj Mahal in India and maybe down there you might also have places like Stonehenge in England. I am not saying that these places are not worth visiting or may not live up to all the hype but I am here to politely talk about a few places which are so worth a visit but have been kind of hidden, at least as yet. 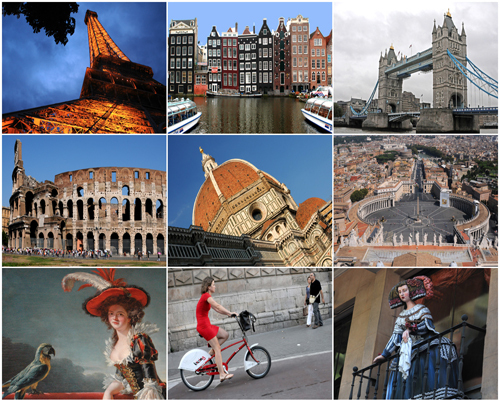 In any case, if you are done with World’s most famous attractions or are just bored with them or maybe just don't like people (oh.. I meant crowds) then here are a few travel destinations which you might not have heard about but were spoken of highly by our esteemed Travel Bloggers. 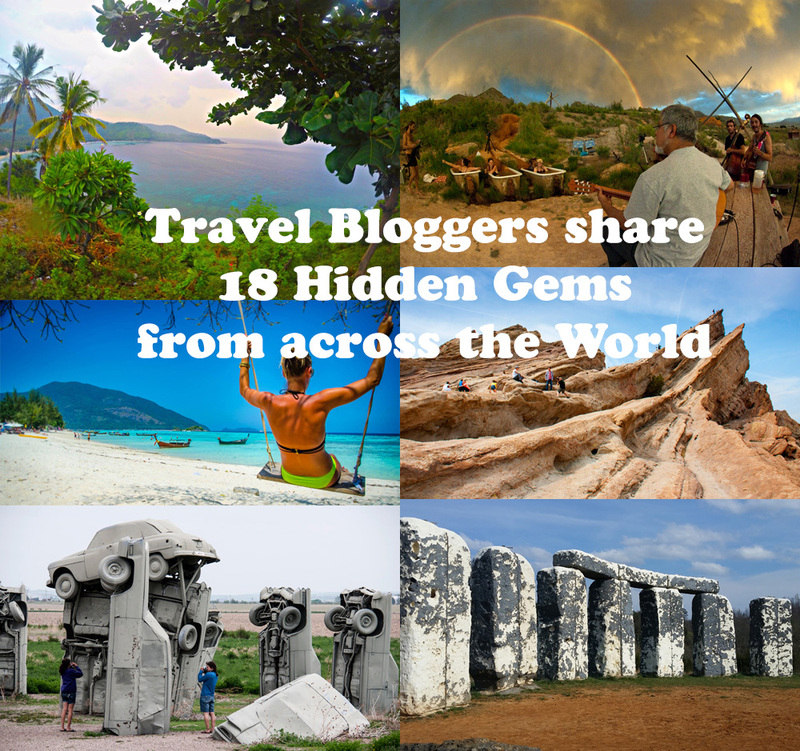 They are indeed hidden gems from around the world that are worth taking the path less travelled and, in my opinion, you should probably not tell anyone about these! 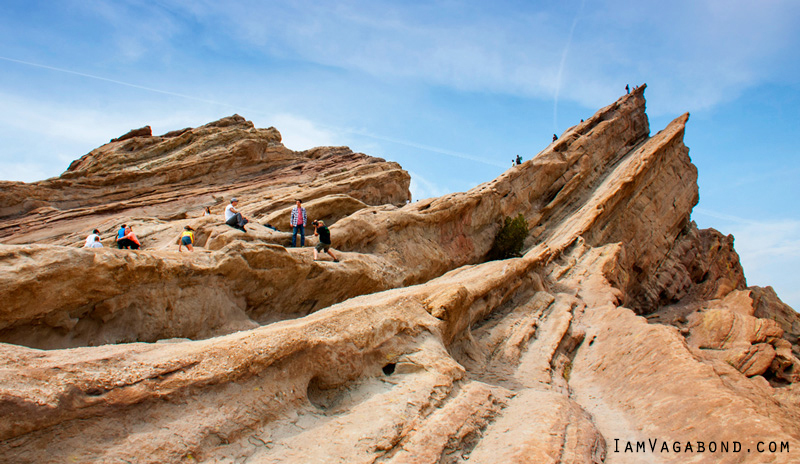 Vasquez Rocks Natural Area Park is a 932-acre park located in the Sierra Pelona Mountains, in northern Los Angeles County, California. It is in Agua Dulce between the Antelope Valley and the Santa Clarita Valley north of Los Angeles and seen easily by motorists driving the Antelope Valley Freeway (CA 14). The rock formations were formed by rapid erosion during uplift about 25 million years ago and later exposed by activity along the San Andreas Fault. In 1873 and 1874 Tiburcio Vásquez, one of California's most notorious bandits used these rocks to elude capture by law enforcement. His name has since been associated with this geologic feature. The prominent rock formation has been nicknamed "Kirk's Rock" due to being featured in several Star Trek episodes, each time representing a different planet. So if you are in Los Angeles area, it might be rather easy.. to boldly go where no man has gone before. Ever wanted to exchange those cold white tiles in your bathroom for a beautiful outdoor scenery while you soak and relax in your bathtub with a gentle warm breeze caressing your face? Such is the case if you come for a visit at the mystic hot springs of Monroe ! 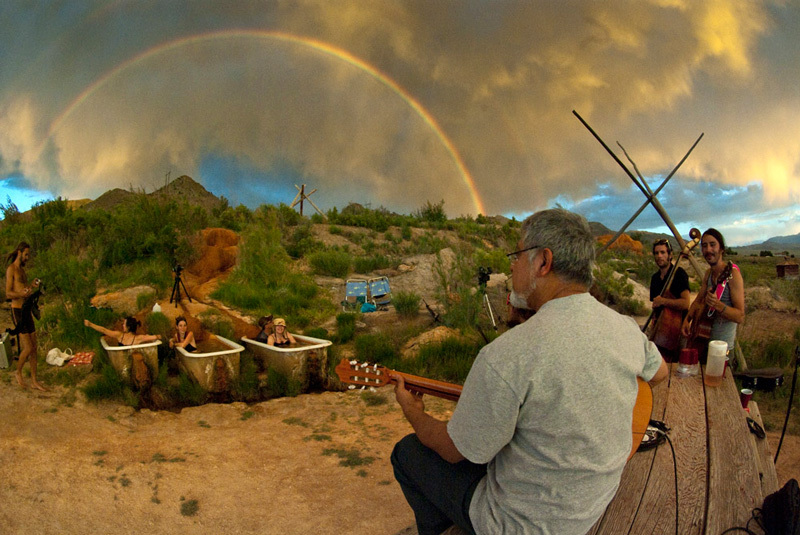 This is the place for hippies, yogis, musicians, travellers and tourists alike to immerse in a once in a lifetime experience! Gallons of hot water flowing out of the natural springs, fillings natural pools and tubs – but also, concerts and music for the soul are given here while an old car park of hippie buses and Pioneer cabins offer accommodation to those that want to stay longer! This place seems unreal until you get there! And not only that but ‘mystic’ Mike, the owner, is a personality in itself! He truly believes in what he does, and it’s this kind of passion and dedication for a place that gives it its magic! This is truly a hidden gem !! 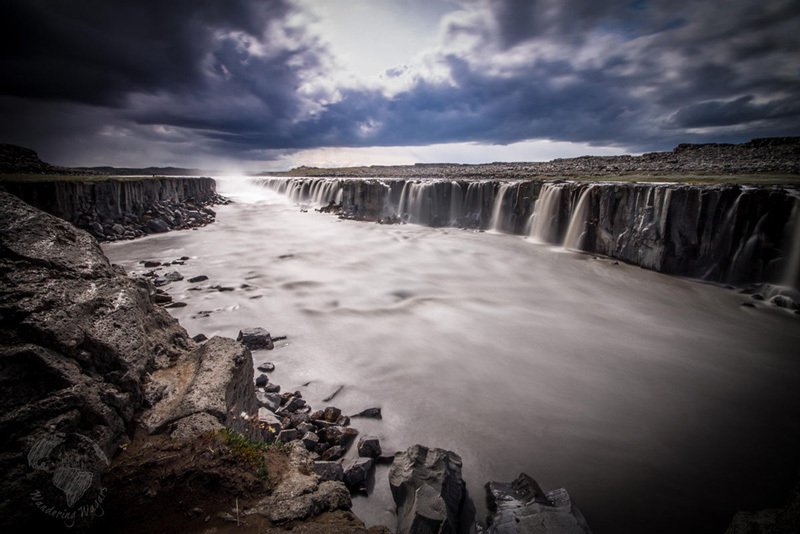 Hidden in northern Iceland, just down the Jökulsá á Fjöllum river from its big brother Dettifoss, the most powerful waterfall in Iceland, is the magnificent Selfoss. A horseshoe waterfall that dramatically falls 44 metres over a width of 100 metres into a gorge that is part of Jökulsárgljúfur National Park. The falls are often overlooked by those visiting the more easily accessible Dettifoss due to the rough hike need to get there, but those who make the journey are treated with a view that is difficult to forget. Selfoss can be reached via a short but rocky hike from the parking areas off of Route 862. 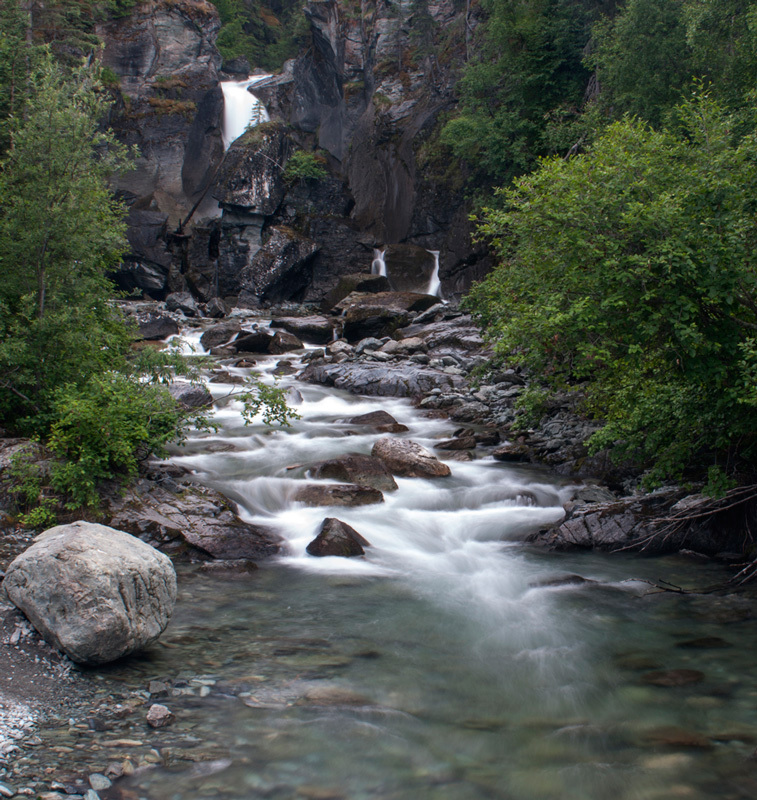 Those looking to visit should wear sturdy shoes and be ready for some slippery rocks. Make sure to visit via the eastern entrance to get the best views as the western entrance does not overlook the majority of the cascade. Everyone has heard of Bali, right? But has everyone heard of Lombok? This magical island is Bali’s lesser known neighbour within the stunning country of Indonesia. The Isle itself is situated east of Bali and is laid back and relatively quiet in comparison to the hustle and bustle that is Bali. 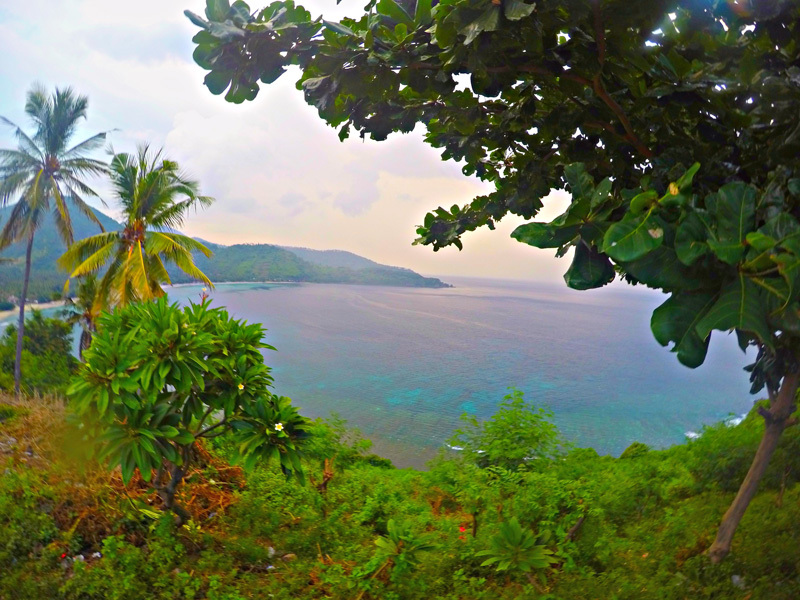 Therefore, if you are like me and want to avoid tourist hotspots, Lombok is for you. The majority of Lombok’s people, including the indigenous Sasak’s, follow the Muslim faith. Throughout the day, locals deep in prayer can be heard over the loud speaker coming from a multitude of mosques. This one small element is one of my favourite aspects of the island of Lombok and creates a further unique experience from Bali’s Hindu following. 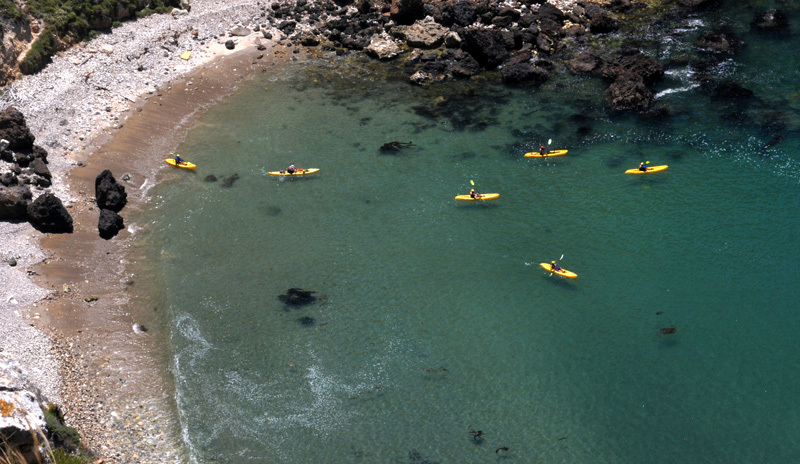 Never fear though there are other things to do while visiting the island. From clear, crystal waters for snorkelling, powerful and stunning waterfalls, cultural experiences, picturesque sunsets and the perfect waves, Lombok has something for everyone. Having now experienced this beautiful place for the third time I could not recommend it enough to anyone wanting to experience something different to Bali. The only place where you might have heard this name before is the long-running American reality show Survivor which featured this location twice in its past seasons. Caramoan is located in Camarines Sur province of Bicol region in the Philippines and it’s considerably less known than touristy places in this country such as Palawan or Boracay. As the breathtaking islands are still unavailable to the public during the filming of other editions of Survivor, when the production wraps up you can easily rent a local boat and embark on the most amazing island-hopping tour - pristine stunning beaches, crystal clear waters of the Philippine sea and spectacular rock formations make for an unforgettable experience. It’s a place that stuns with its wilderness, amazes with an unrealistic snorkels and challenges you with some wonderful hikes. At the end of the day, coming back to the Caramoan village, you appreciate a stunning sunset among mangrove forests, feeling closer to nature than ever before. 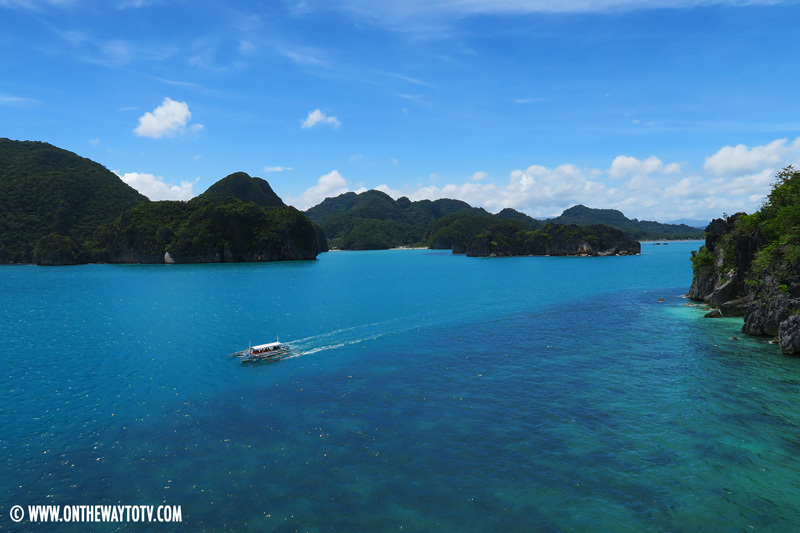 Having a tropical island all to yourself leaves you with an end-of-the-world feeling you will never forget, so make sure you visit Caramoan while it’s still at its best. One of the most beautiful and colorful natural sites in the world is Plitvice Lakes National Park in central Croatia. 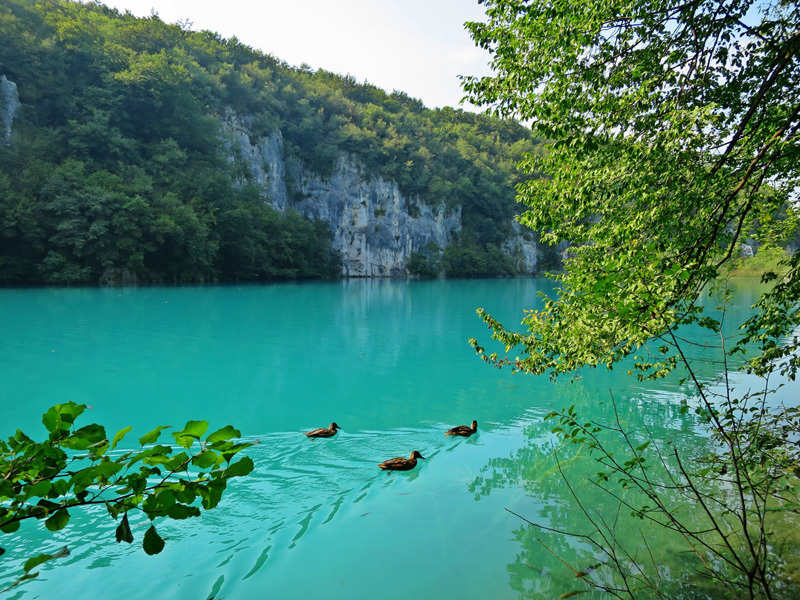 Located just a few hours' drive south of capital city Zagreb, the UNESCO registered park features beautiful blue lakes, natural travertine dams, a range of fauna and flora, and stunning waterfalls. It's no surprise that the largest national park in the country is an increasingly popular tourist destination and a must-see when you visit Croatia. Plitvice Lakes National Park is world famous for its sixteen cascading lakes that are interconnected by a series of waterfalls and rivers stretching over eight kilometres. The impressive lakes are renowned for their distinctive and ever-changing colors that range from azure to green, grey or blue, depending on the quantity of minerals or organisms in the water and the angle of sunlight. A number of walking paths, buses and ferries enable visitors to easily explore the beauty of the lakes and some of the park that spreads out across 300 square kilometres of mountains and woodland. The entire walk, including a bus ride to the upper lakes and a ferry ride across to the lower lakes, can take about five hours and is well worth it. The Maluku Islands or Molucca region of Indonesia are also known as the Spice Islands. The island of Saparua is one of these islands and is off the beaten track as far as tourism goes. There is not a lot of information to be found about this very appealing and beautiful island. We were lucky to visit last week, and to say that we loved this piece of paradise would be an understatement. It is what we imagine that Bali and Fiji would have been like 30 years ago. Visitors to these islands should not expect the infrastructures that they find in other developed and over-developed tropical islands, but there is enough. What travelers will find is a beautiful island with swaying palm trees, a tropical climate, stunning beaches, lush vegetation, and friendly people who welcome the few guests by calling out 'Hey mister'. Saparua Island is a 3-hour flight from Jakarta and is in Eastern Indonesia. The easiest was to get to the island is by boat from another of the Maluku Islands, Ambon. Boquete, Panama is located around 3500 ft elevation at the base of Volcan Baru in the Chiriqui district of Panama. 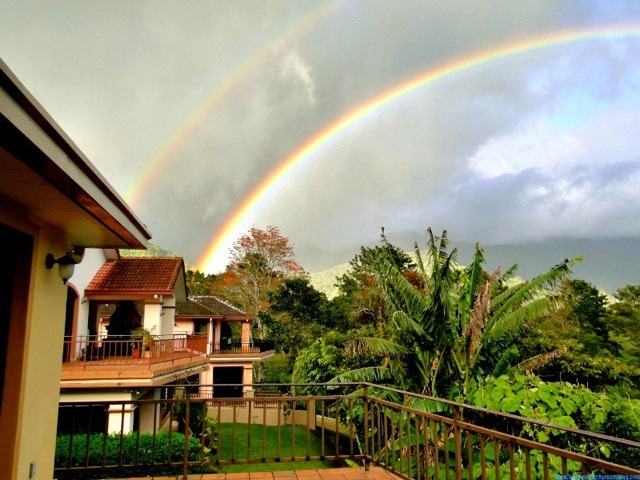 We are only a short drive from Costa Rica and maintain a wonderful climate year round. Boquete is home to some of the best exotic birds in the world and we have rainbows daily, even doubles in the springtime. It is a large expat community from the US, Europe, and Canada as well as around 12K Panamanian and indigenous population. I live here part time and the friendships I’ve made are invaluable. Boquete is a nature lover’s dream and being able to go in my backyard and pick my own bananas, mangos, limes, oranges, tropical flowers, and coffee is pretty cool. If you are looking for a beautiful experience off the beaten path, this is definitely for you. You can travel by bus or plane from Panama City to David and we are located 35 minutes away. Brunei itself is located on the North Western tip of Borneo and surrounded by Sabah and Sarawak regions of Malaysia. Not many people know this but in the capitol of Bandar seri Begawan there is the world’s largest water village “Kampong Ayre”. The most famous thing about Brunei’s is probably the Sultan and his huge palace and 5,000 plus car collection. 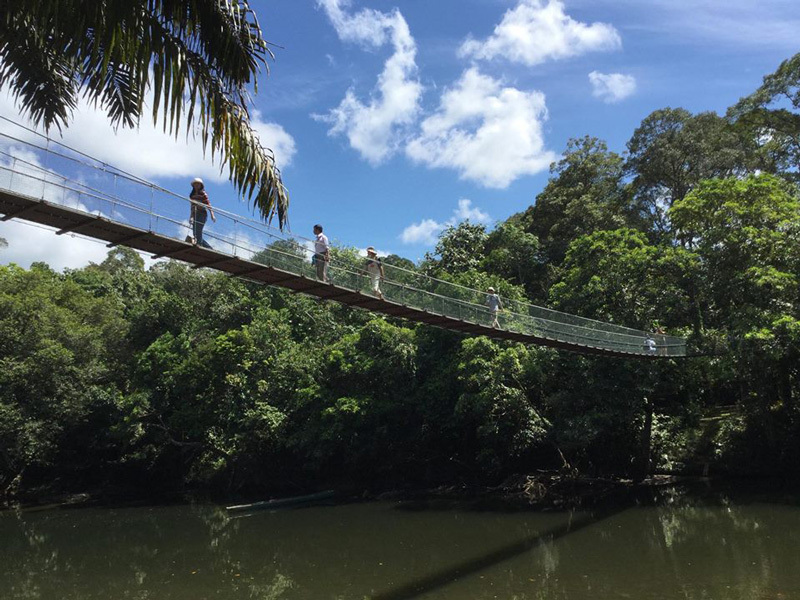 Best bit of this country is Ulu Temburong National Park, which houses one of the world’s most pristine rainforests. The Bruneian rainforest is relatively untouched and only 1% of it is open to tourists and even those have to be accompanied by a trained guide (normally one of the local Iban tribe members). Munroe Island is a hidden gem in the popular backwaters of Kerala, India. 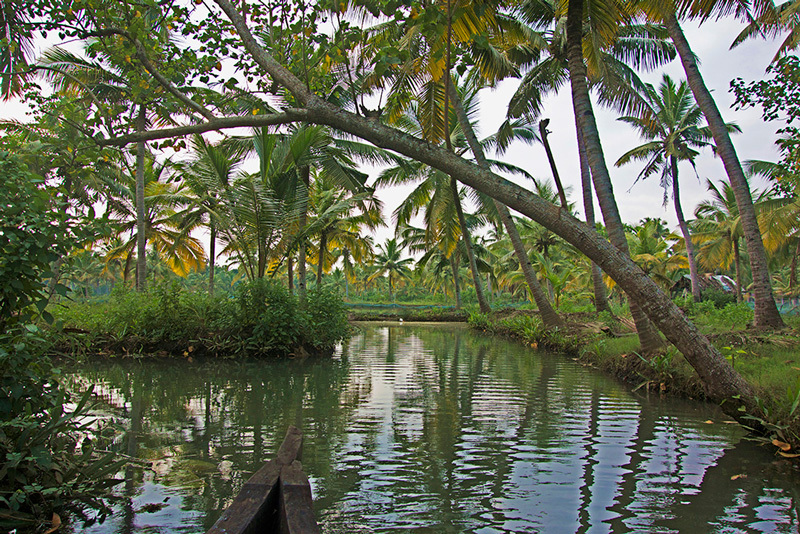 Located nearby Kollam and a bit further from Allepey (the main hub), Munroe Island is beautiful, calm and authentic. The island is actually composed of 8 islands, separated by small water channels and lakes. A few years ago, when there were no roads, all the transport was done by boat. Nowadays there is a main road and a few secondary roads, but the traffic is still low. Mainly, there’s a not of nature. Every day the fishermen take the boats and go fishing in the river in the morning and evening. Others dive to collect seafood and sand. Some women make ropes from coconut fiber. 21 school buses take the kids to school. The life on the island is slow, there is no stress. The main activity to do on the island is a canoe boat tour. I tried a motor boat tour in another place and I prefer the canoe. It’s a silent mode of transport so it doesn’t break the magic of the sounds of the island. The birds, the cows, the music from the temples. The silence. And the views are stunning. Carhenge is a replica of England's Stonehenge located near the city of Alliance, Nebraska. 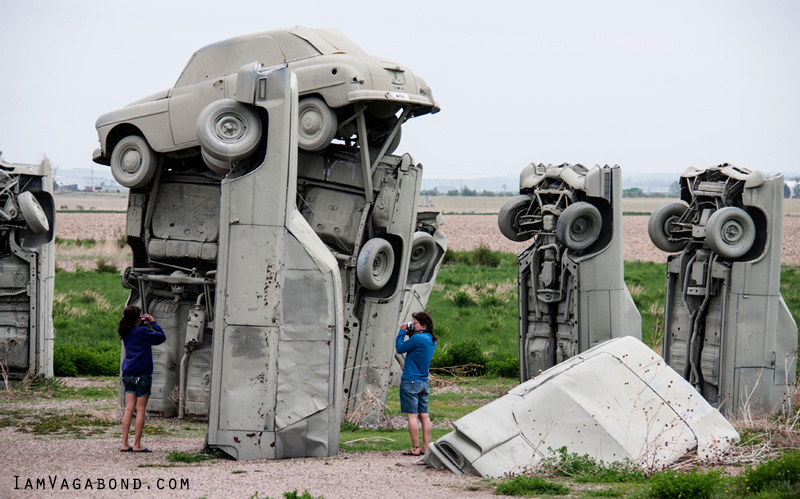 Instead of being built with large standing stones, as is the case with the original Stonehenge, Carhenge is formed from vintage American automobiles, all covered with gray spray paint. Built by Jim Reinders, it was dedicated at the June 1987 summer solstice. In 2006, a visitor center was constructed to serve the site. In a nondescript field somewhere in the Shenandoah Valley, the sculptures rise out of nowhere. There are no signs, no welcome center, no typical tourist signs to beckon the casual passers-by. 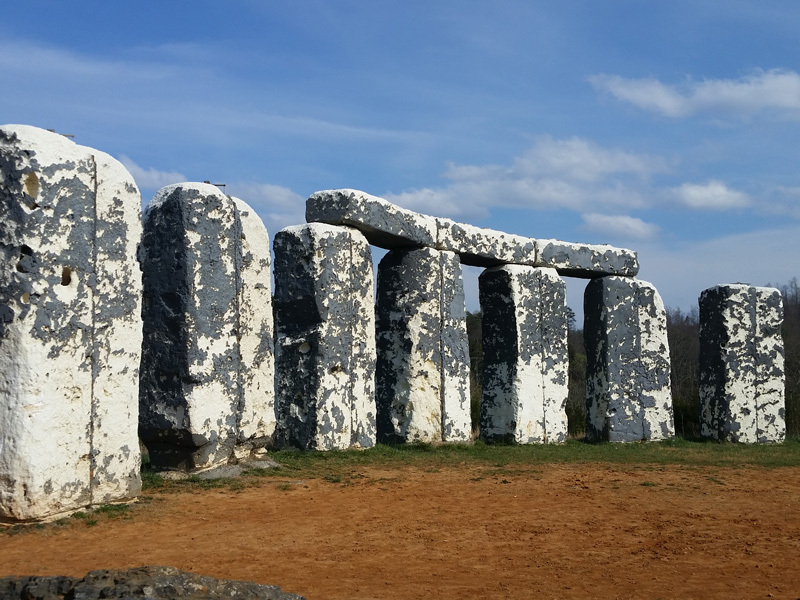 But those who seek it will know right away what it is: Foamhenge, an outdoor art exhibit that is the work of an eccentric Virginia artist who was inspired to create a tribute to Stonehenge. Yes, Virginia, there is a Foamhenge and it’s exactly what you would imagine: a full-size replica of Stonehenge made out of giant foam blocks. It’s odd, it’s impressive, it’s kitschy, and it’s awesome. Skulpturen Park Waldfrieden is in a small city called Wuppertal a short train ride from the more popular Dusseldorf. Wuppertal is better known for its dance company (Pina Baush Company) and its suspension monorail, but tucked away just outside the centre a short bus ride away is this spectacular sculpture garden. This once abandoned park was bought in 2006 by British sculptor Tony Cragg and was re-opened to the public in 2008. Housing a growing collection of sculptures from internationally known artists the site also displays changing exhibitions curated by the foundation. 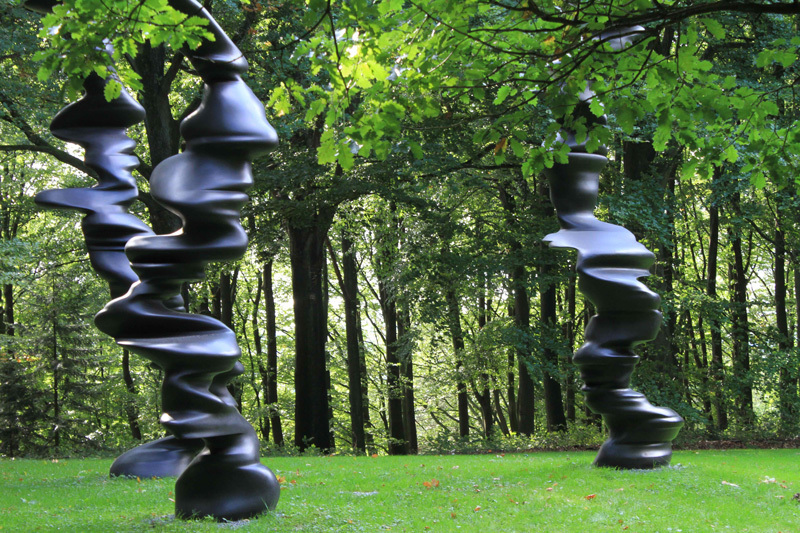 If you are staying in the Dusseldorf area I would highly recommend taking a trip to Wuppertal and seeing this collection of sculptures amongst the backdrop of the beautiful grounds of the gardens. Waterland near Amsterdam comprises of historic fishing villages of Marken, Volendam and Edam and quaint harbor villages of Monnickendam and Broek. The fishing villages have quaint cottages built in a backdrop of picturesque countryside. One can collect day pass from Amsterdam central bus station which is applicable to all villages of Waterland and a route map which guides connecting buses to visit the villages which depart from Amsterdam central. 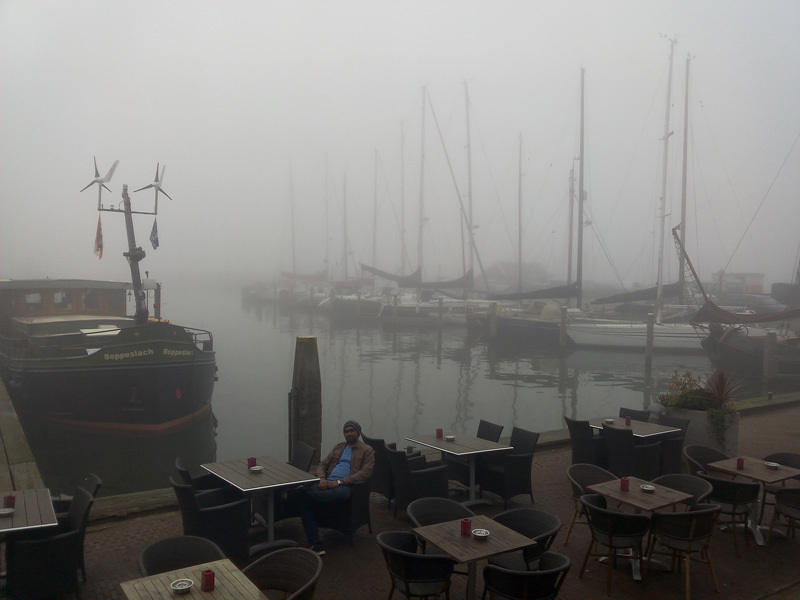 Must visit are the wooden shoe factory in Marken and Cheese production tour at Volendam. The villages have several souvenir shops, cafes, wooden shoes and tulip shops. The Richmond Mural Project is a community project implemented by Shane Pomajambo, an avid art collector who is infatuated with large scale mural arts. This is a yearly event with the goal of creating over 100 murals by world renown talent in the first 5 years alone. 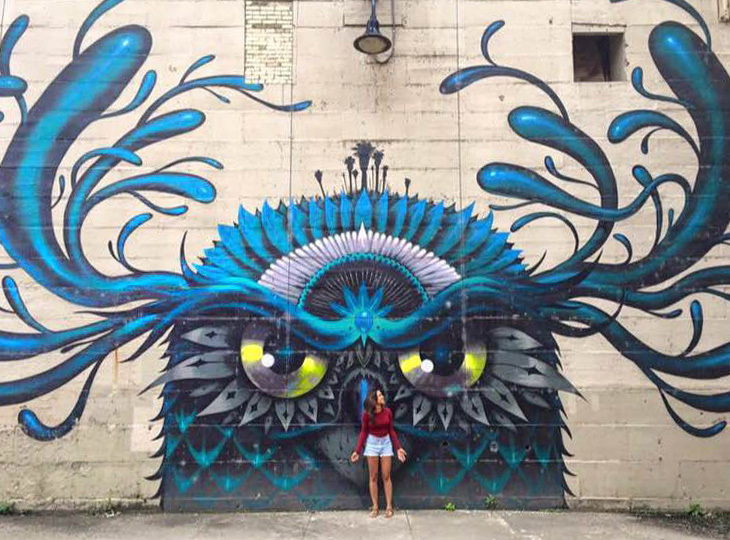 It began with hopes of establishing Richmond as a landmark destination for internationally recognized murals and will create exposure for the city, establishing it as a premier art destination. More than 100 huge murals are on the sides of restaurants, shops, and university buildings, and they’re in all sects of Richmond from Church Hill to Downtown, and from Jackson Ward to the Museum District. They really unify this dynamic and unique city! 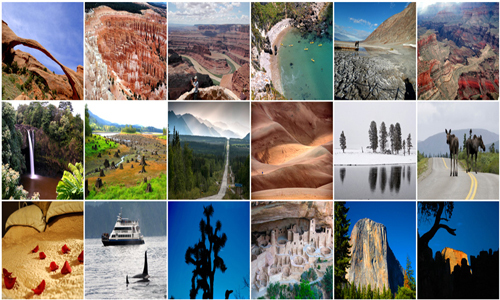 If you had to name America's Largest National Park. You might probably guess Grand Canyon or Yellowstone but as it turns out that just won't be true. At 13.2 million acres, which is bigger than the country of Switzerland, Wrangell-St. Elias stretches from one of the tallest peaks in North America, Mount St. Elias (18,008) to the ocean. Yet within this wild landscape, people have been living off the land for centuries and still do today. The park is a rugged yet inviting place to experience your own adventure including just the journey to reach this amazing work of nature.